Zeta Global is best known as Customer Lifecycle Marketing Company with a strong data and analytics capacity. Zeta helps the world’s leading brands acquire, grow and keep customers. Its marketing platform, Zeta Hub, is a comprehensive, multichannel marketing solution that unifies and unlocks data, driving return on marketing investment. It has grown through organic business moves, fueled by heavy investment in technology, as well as strategic acquisitions. Zeta is the perfect solution for large enterprises, focused on measurable results in acquiring or retaining customers in consumer products, retail, financial services, or the transportation & hospitality industries. Its managed services options appeals to companies who use third parties for digital marketing execution. 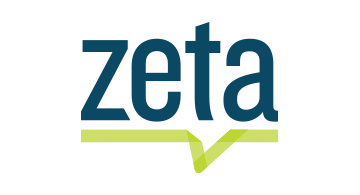 Zeta’s key differentiator is its aggressively data-driven approach to cross-channel, cross-device marketing optimization, enabled by its massive proprietary database, delivered with professional support.